A physical price tag for a digital currency. 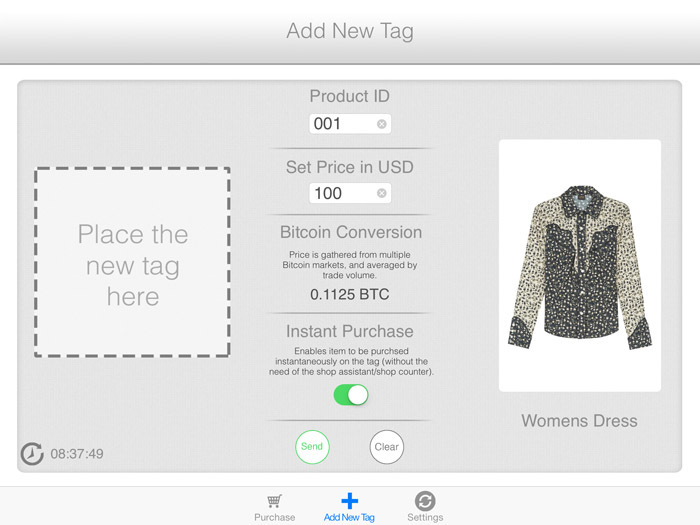 BitTag is a physical price tag that creates a seamless integration between Bitcoin (or any another cryptocurrency) transactions and "bricks and mortar" retail stores. 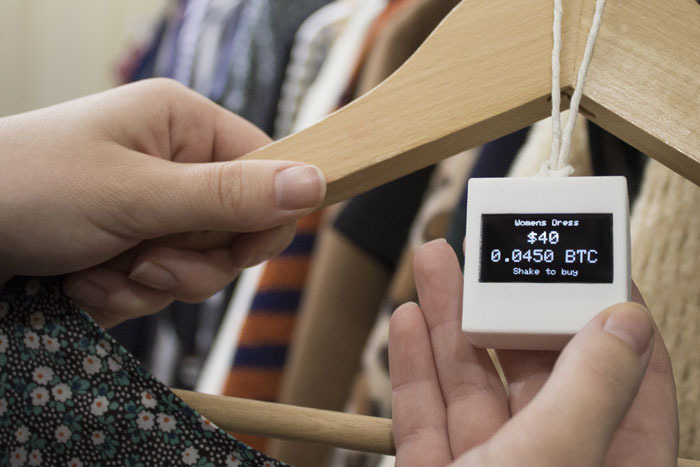 Once set up, the BitTag displays information such as the product name, price in USD (or other local currencies) and the real-time price in Bitcoin. If the Bitcoin value suddenly fluctuates, the price on BitTag will instantly reflect this. 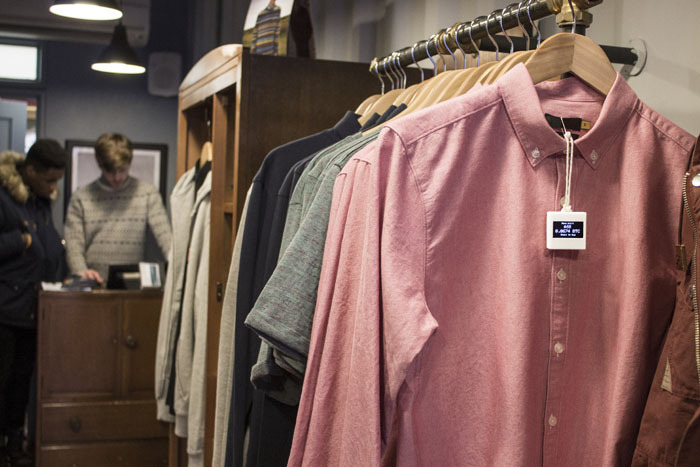 The customer, therefore, instantly knows how much the item is worth, whilst the retailer does not incur any financial loss if the value of the Bitcoin changes. 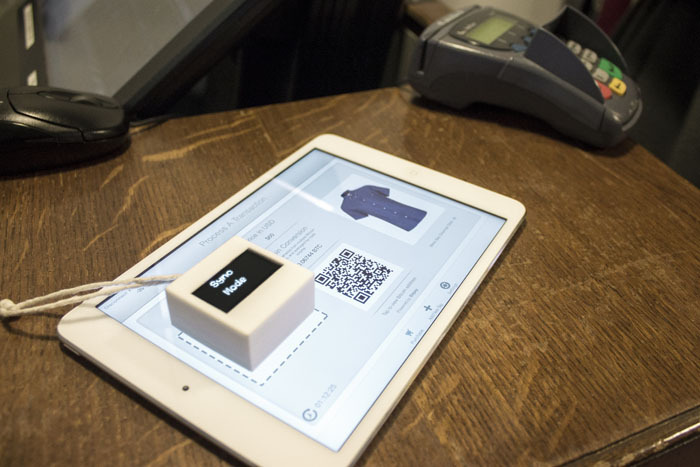 Each BitTag is managed with the assistance of an accompanying iPad app. 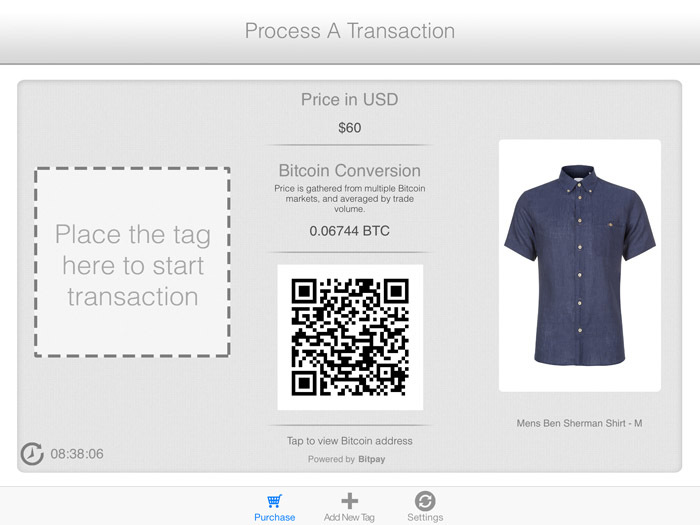 The app can either be used to setup the Tag or process a Bitcoin transaction by simply placing the BitTag on the screen. 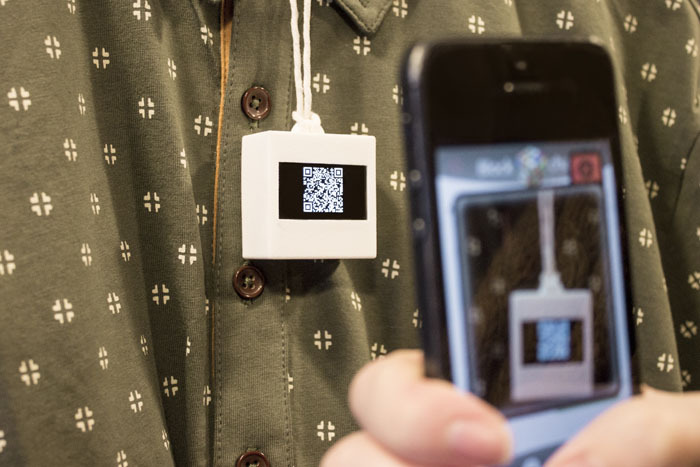 Alternatively, the Bitcoin transaction can be activated by a simple 'shake' of the BitTag, enabling a Bitcoin QR code to be displayed on the OLED display and scanned by the user's smartphone, using standard apps like BlockChain. Inside each BitTag contains a Bluetooth Low Power (BLE 4.0) chip for communication to and from the app, Microprocessor (similar to Arduino), OLED display, accelerometer and a rechargeable LiPo battery. To register your interest in BitTag, please use the contact form below. If you're interested in BitTag, or looking to collaborate, please use the form below.